Stampin’ Up! UK Demonstrator Pootles – Congratulations Cards! Well I’m hoping that these congratulations cards have dropped through the door recently of 10 recipients who had no idea they were coming! 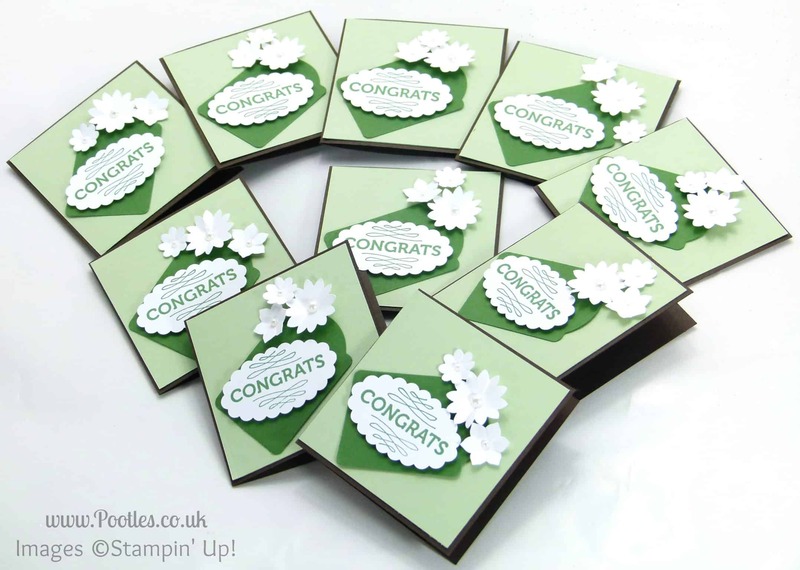 As you know, during August and September, I had a series of product ‘shares’ going on and they proved so popular that I ended up with 10 of the free Good Greetings Stamp Sets. The shares are still available (links here – Paper, Accessories, Ribbon, Christmas) and with all the shares, there were Hostess Benefits accrued. Now I don’t believe in keeping hostess benefits for myself when people are working together in shares, so I made sure that I ordered and split extra goodies between everyone. People in the Paper got Christmas paper, Accessories and Ribbon sharees got Christmas accessories or Ribbon and Christmas sharees got a roll of washi tape each. And as I said, I ended up with 10 sets of the free stamp sets. The promotion has now come to an end, and with 10 sat on my desk, but 96 participants, I wasn’t sure what to do with them. Then Amy, who helps me in my office each week, did a random draw online and randomly selected 10 of those people to each receive one. I’m glad that everyone was able to get a bonus something with the extra washi and ribbons and paper etc, and just as pleased to be able to pass these on too. So my little card that went inside is shown below. 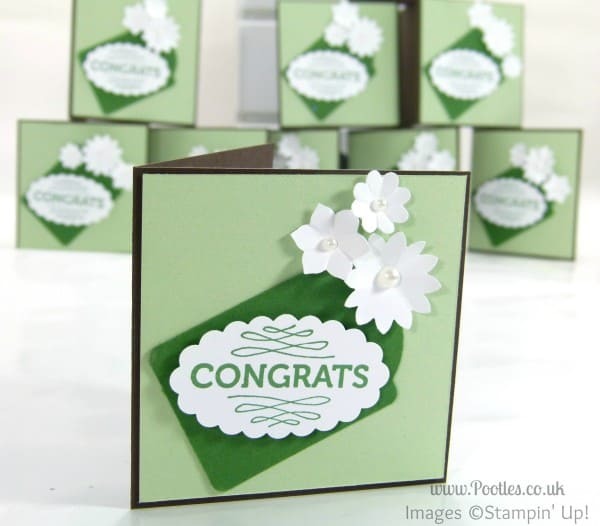 It’s super cute, makes use of Garden Green and Pistachio Pudding Cardstock, and the simple addition of the Note Tag, Boho Blossoms and Scallop Oval Punches with the very pretty Hey You stamp set. Hope you like it and thank you to everyone who has previously joined the shares, and those who continue to jump on board! Sharing the spend keeps everyone happy!